Jeanne Aston was born in Tulsa, Oklahoma to Robert L Aston and Dorothy M Gamble Aston. 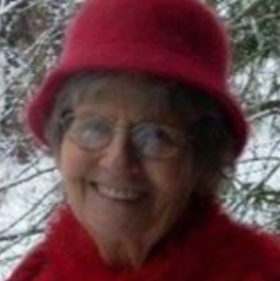 She graduated from Central High School, attended the University of Tulsa and received her Bachelor of Science in Occupational Therapy from the University of Puget Sound, Tacoma, WA in 1965. During the summer of 1958 Jeanne traveled to Campbell, Alaska as a missionary for the Presbyterian Church. From Alaska she moved to San Antonio, Texas where she was the Teenage Program Director for the YWCA. In 1962, Jeanne moved to Seattle to be the West Seattle YWCA Program Director. Afterwards she attended the University of Puget Sound to work on her degree. While there she was a Resident Assistant counselor in her dormitory. From 1965 to 1976, Jeanne worked as an Occupational Therapist with people with Cerebral Palsy and adults with intellectual disabilities. She also worked from about 1976 to 1979 at the South King County Activity Center. From 1979 to 1984 she worked in the publishing field as paste up staff, typesetter, and editorial assistant. In 1984 Jeanne began working as an Administrator at the Fred Hutchinson Cancer Research Center in Seattle, Washington and remained there until she retired in 2005. After retirement, Jeanne continued to work part-time as a Professional Support Specialist at the Hutch until 2015. Throughout her life Jeanne was a great lover of music, being active in choir and played many instruments. Her enthusiasm of baseball was fueled while listening to baseball games on the radio with her grandmother back in Tulsa, Oklahoma and going to games with her sister. She carried that enthusiasm to Seattle and became a strong fan of the Seattle Mariners baseball team. Her competitive nature would come out while enjoying a rousing game of cards, be it Bridge, Euchre, Tic or Hearts. Jeanne loved her cats! Each of her cats were named after flowers that Jeanne was particularly fond of, including her last cat, Pansy. She loved photographing them as well as her friends. Jeanne’s support and care for her friends was a strength of hers that is rarely seen. She maintained friendships that lasted all of her life. She was kind, thoughtful, had a wonderful sense of humor and demonstrated her strong faith through her actions. Jeanne’s playfulness stayed with her until her death. Her incredible positive attitude remained with her even as her body was declining, rarely would one hear Jeanne complain. Jeanne was loved and respected by her family and the many friends that she had made during her lifetime. She will be dearly missed. Jeanne is survived by her nephew Randall Hartzell of Broken Arrow, OK, grand-nephew Damien Hartzell, Tulsa, OK, Great grand-nieces McCartney and Ellery Hartzell, and cousins Marily Seerey and William Titgen of CA. Jeanne is preceded in death by her parents, her sister Nancy Lou Aston Hartzell, and her niece Glenna Hartzell Dooley. A memorial service for Jeanne will be at 2:00 PM on Sept.16, 2018, at the First Methodist Church in Seattle, WA, located at 180 Denny Way. Parking at 150 Denny Way.